Mental Health patients have the same legal rights guaranteed to everyone by the Constitution of the United States and California Laws. The goal and function of San Bernardino Patients’ Rights Advocates is to protect the legal, civil and human rights of consumers in the mental health system. This goal is achieved by supporting the patients’ expressed needs; insuring that mental health systems safeguard the rights of patients through rigorous monitoring; providing ongoing training aimed at informing mental health providers of patients’ rights and promoting treatment of patients with dignity and respect. Patients’ Rights Advocates represent patients who are involuntarily detained at the Arrowhead Regional Medical Center. The Advocates prepare patients for their certification review hearings, also known as probable cause hearings. 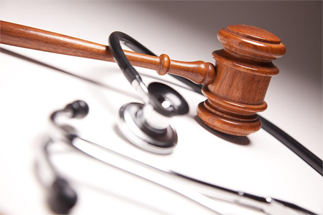 The hearings are held to determine whether the treatment facility has sufficient cause to hold a patient against their will. Patients’ Rights Advocates investigate and respond to grievances and complaints regarding inpatient and outpatient mental health services. Advocates also provide other advocacy and mediation services to patients involving outpatient providers and inpatient treatments. Patients’ Rights Advocates provides trainings and in-services on patient rights to patients in inpatient psychiatric units; outpatient mental health services, residents in Board and Care facilities and the mental health community. Patients’ Rights Advocates participate in the Room and Board Coalition, which is an independent organization of unlicensed Room and Board operators, whose goal is to set standards for quality safe housing for people with mental illnesses. Patients’ Rights participate in various aspects of this organization to support its functions. Patients’ Rights Advocates monitor mental health facilities and residential treatment facilities for compliance with patients’ rights laws. The advocates review and comment on policies and practices that impact recipients of mental health services. You have the right to make healthcare decisions. You can plan now for your medical care needs if in the future you are unable to speak for yourself. Your health information is personal and private, and we must protect it. This notice tells you how the law requires or permits us to use and disclose your health information.